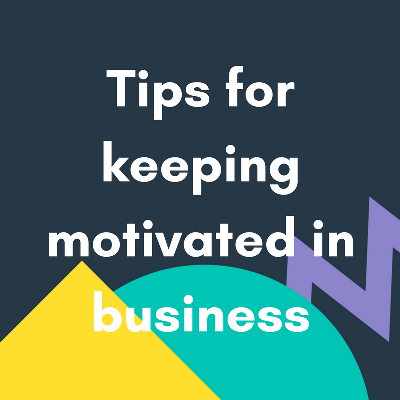 Maintaining motivation in your business is a must for business success. No-one can run your business for you – so it’s up to you to get yourself out of bed every day. Some days are easier than others and every business owner at some point in time will feel a dip in motivation. Here are five more tips to keep on file to help you get your zing back if it’s temporarily left the building. 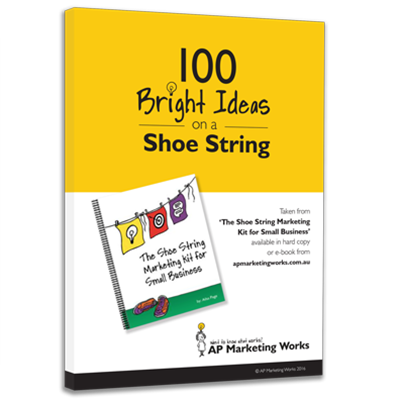 These tips are based on what has helped me keep my motivation high even after 18 years of running AP Marketing Works as well as tips and tricks that my customers have shared. I know they will work for you too. Spend some time visualising how success looks in your business. Think back to the goals you have set and imagine reaching them noting how good that feels. Do this on a regular basis and more often when your motivation has dipped. It will remind you why you are in business and visualising success can definitely give you an instant ‘’feel good”. Many top athletes and performers utilise this technique to help increase their performance. How good is that? You can increase your motivation and boost performance at the same time. Networking is a great way for small businesses to generate referral leads and make new business contacts. One of the less promoted benefits of networking is the increase in motivation you can get just by catching up with people who understand what it’s like to run a business. Sharing stories, ideas and information with others in a regular networking environment can reduce your feeling of isolation but can also provide you with much needed inspiration. To find what groups might be running in your area check the web or ask your local council. Sleep seems to be the new currency. So many of us too often feel sleep deprived. Are you the type of person who just tries to fit just one more thing into the day? Then this tip is for you. A good night’s sleep can be brilliant for finding extra motivation for running your business. I remember my Nanna saying “everything seems better after a good night sleep” and Nanna you are right! It’s hard to stay motivated, positive and focussed if you are tired. Give it a try you will be more productive the next day guaranteed. Achieving goals and completing tasks can be motivating in itself. Teaming up with someone to help you be accountable for what you want to achieve is a great way to keep things done in your business. Your buddy could be your partner or another business owner or even just a friend. Catch up with them once a week by phone, chat, email or in over a coffee and check in about the week. You get the chance to review all that you have achieved and have a supporter cheering you on. Learning new ways of doing things, getting fresh ideas or simply enjoying a change of scene can all be achieved by taking a business training course. You get great benefits with face to face courses such as networking however online options can deliver similar benefits too. Learning about latest trends in your industry or discovering how to be more productive or solve a problem can be super exciting and leave you in that giddy state where you can’t wait to apply your learnings to your business. Wow get me some of that! So there it is 5 tips for you. Keep these tips handy. If your motivation dips implement one tip. Your mood will improve and your motivation tank will start to fill.